APC loses over 3,000 members to PDP in Ondo – Royal Times of Nigeria. No fewer than three thousand members of the ruling All Progressives Congress in Ondo State on Tuesday defected to the People’s Democratic Party. Similarly, about two thousand members of the newly formed Zenith Labour Party in the state have also decamped to the PDP. 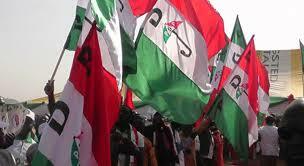 The event took place at the PDP secretariat in Idanre town in Idanre Local Government Area of the state today. The leader of the defectors from the APC, who is also the party leader in the Idanre Local Government, Mr. Lanre Olurakinse, said the APC in the state was being run like an occultic group. He said he and other defectors decided to leave the APC because the party has “brought more hunger and hardship” to the state and has not made any meaningful impact on the lives of the people of the state. Welcoming the defectors to the party, the PDP chairman in the state, Mr. Clement Faboyede, who was represented by the PDP chairman in Idanre LGA, Mr. Bolu Ogunmolu, said the umbrella of the PDP was wide enough to accommodate more defectors.